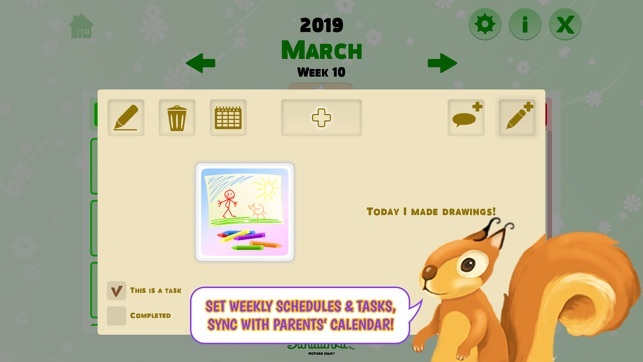 My First Calendar is a custom designed tool for families with children, especially those who attend speech therapy or need assistance in language learning. 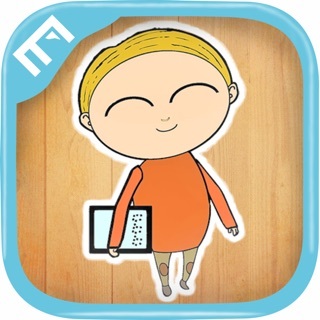 This app is designed to follow the speech development in a form of interactive diary and a calendar. 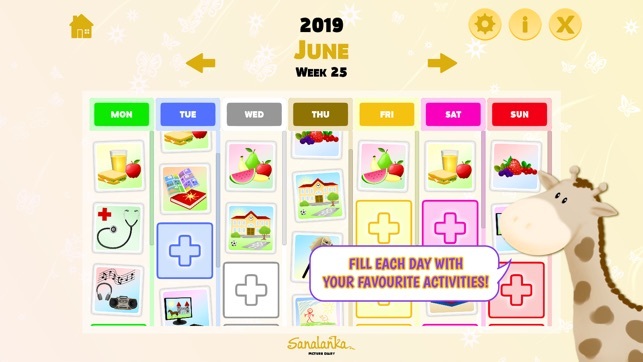 - Interactive diary where children can use vast variety of visualized activities to describe the daily life, make photos of their achievements and record own stories! - Parents and therapists can follow the speech therapy progress in free-time activities, mark special dates and events to look forward to! 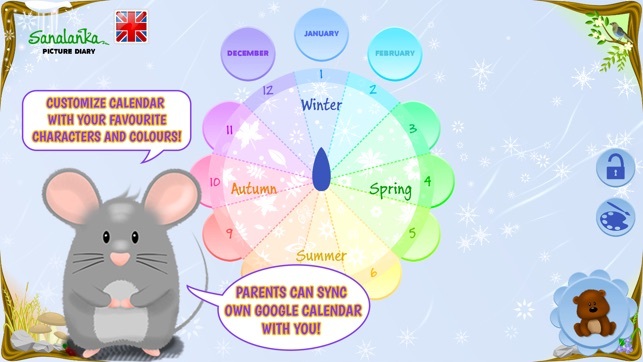 All activities can be synchronized with parents’ own Google Calendar account. 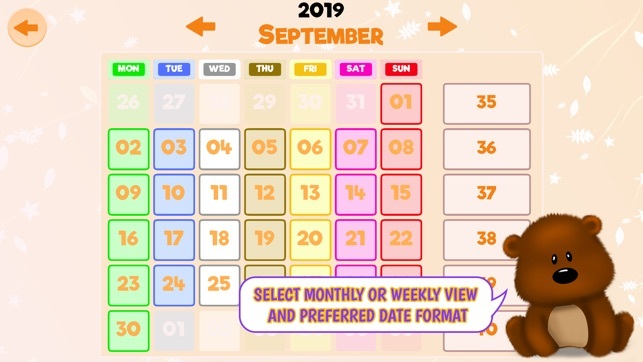 - Customization of the calendar color palettes, profile settings, date format by country and adding own content to the activities inventory. 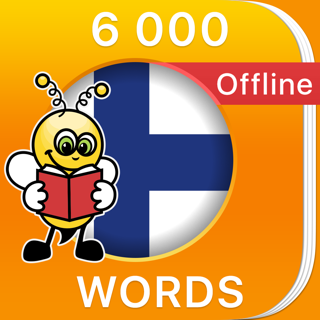 - Fill each day with your favourite activities! 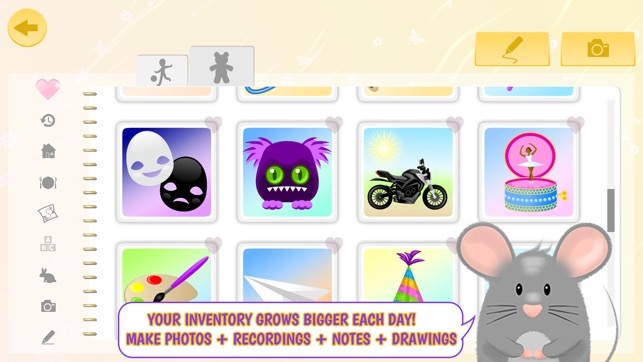 Make photos, drawing, record spoken or written memos of each day and have fun!